More resources - Click here. Takes you to the GDOP website - where you can find editable handouts, prayer guides, and videos. On May 24, the Global Day of Prayer begins in Fiji as the sun rises and will move through the various time zones around the world as millions of believers gather in 220 nations to pray and seek the face of God in response to 2 Chronicles 7:14. 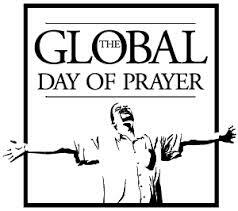 The Global Day of Prayer is a worldwide prayer movement birthed out of South Africa. Graham Power, a successful business leader, received a vision and strategy from the Lord for a transformed South Africa. The first GDOP took place in 2001 with 87,000 participants. With each progressive year, the vision and response has grown to include every nation of the world with over 300 million Christians gathering across the globe last year. The story is compelling and could only be accomplished by God touching earth with the power of His Spirit. The strategy is simple and based on Acts 1 and 2. 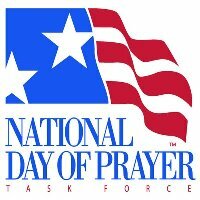 Ten days of day and night prayer leading into the Global Day of Prayer event on Pentecost Sunday, followed by 90 days of blessing serving our communities together with the love of Christ in tangible ways. Along with repentance and Biblical unity, an important part of this year's theme will be to challenge business men and women around the world to commit to unashamedly ethical living as leaders in their communities. The Church of Kansas City will respond to the call, and gather in a few different venues on the Global Day of Prayer as we enter into the slipstream of the largest prayer gathering of the Church of Jesus Christ in the history of the world.